Welcome to Day #2 of French Chocolate Theme Week. 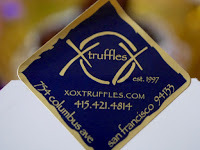 Today's two chocolates from XOX Truffles (San Francisco, CA) were not from France, but they were "created with a French attitude" and were French inspired. Chef Jean-Marc Gorce (formerly of Fringale restaurant (San Francisco, CA) and partner Casimira N. Tobilla founded XOX Truffles. 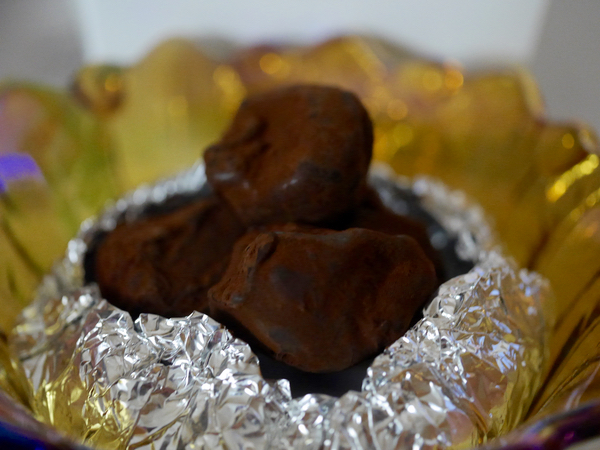 Their tiny shop in North Beach, contains a display case full of different truffles, some flavored with alcohol (champagne and cognac truffles are popular choices). 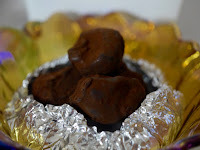 True truffles may appear a little rough hewn and humble on the outside (like their namesakes that grow in the ground); but these had great chocolate flavor and a fabulous creamy, buttery melt. 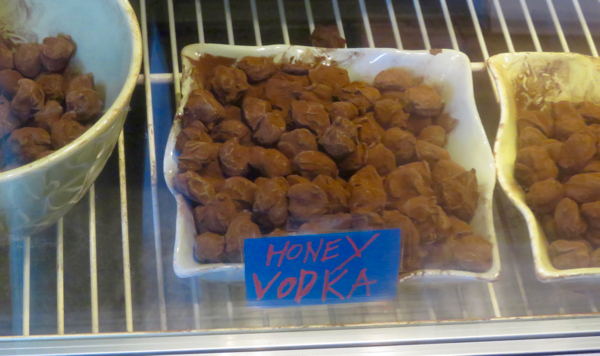 The Honey Vodka truffle had a sweet, boozy lilt, and the Amaretto truffle's nutty flavor unfolded into an almond-flavored liqueur trip. Bon voyage.